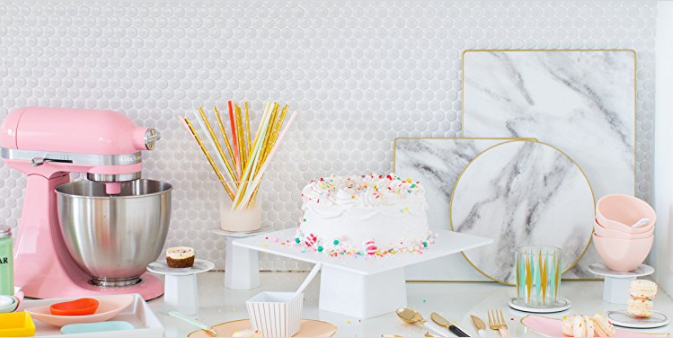 Amazon has teamed up with lifestyle blogger Ashley Rose of Sugar and Cloth to launch a fun collection of homeware for the free spirited! Sugar & Cloth for Amazon features 40 different table top products. While most of the items are paper goods, including plates, napkins, and straws, the collection also includes plastic utensils and serve ware. 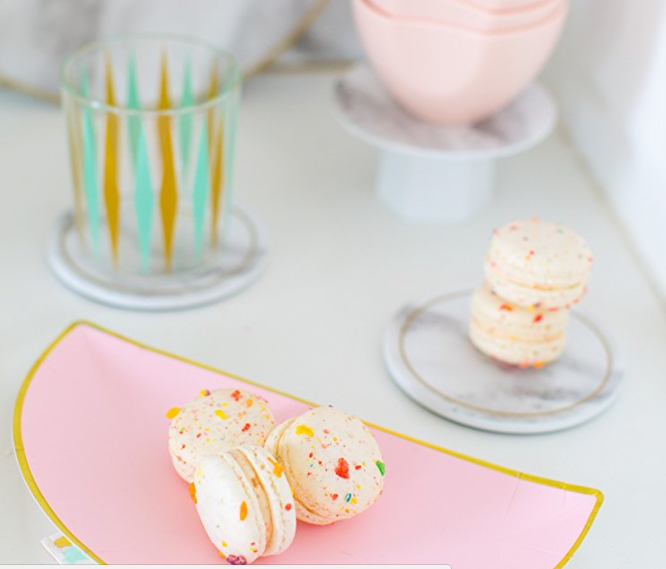 With its pastel colours and funky patterns, the collaboration will be great addition to your modern home interior and are totally Insta-friendly! The items are elevated with gold and marble elements, but the price is affordable, starting from only USD $9.99. Shipping is free within US, so sign up with us and pay only $3/lb to receive them at your door.